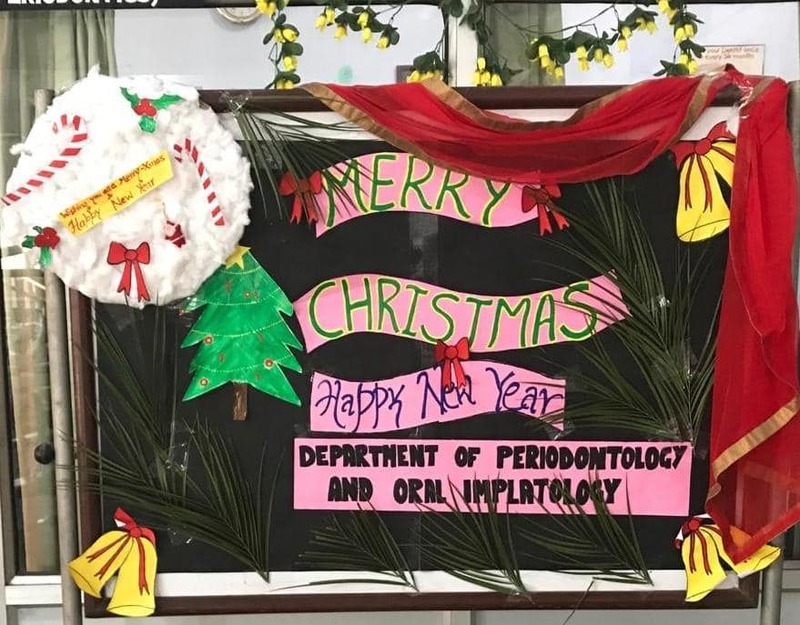 Department of Periodontics & Oral Implantology concluded their last DEPARTMENTAL MEETING of 2018 by celebrating Christmas 🎄 & welcoming the New Year 2019. The posted interns sang Christmas Carols which gave the celebration a perfect touch. All the staff members, post graduate students & interns of the Dept joyfully became a part of the celebration.